On the same day Tim Lincecum's arbitration did not go so well, Pablo Sandoval makes a deal with the team. San Francisco Giants third baseman Pablo Sandoval has agreed to terms on a three-year deal with the team, according to our partners at CNS Bay Area. The San Jose Mercury News reported the deal was worth a total $17.15 million. Sandoval earned just $500,000 last year, but this year he became arbitration eligible which increased his worth. The slimmed-down Sandoval is a fan favorite and had a great season last year. He batted .315, hit 23 home runs, made the All-Star team and at one point had a 22-game hitting streak. 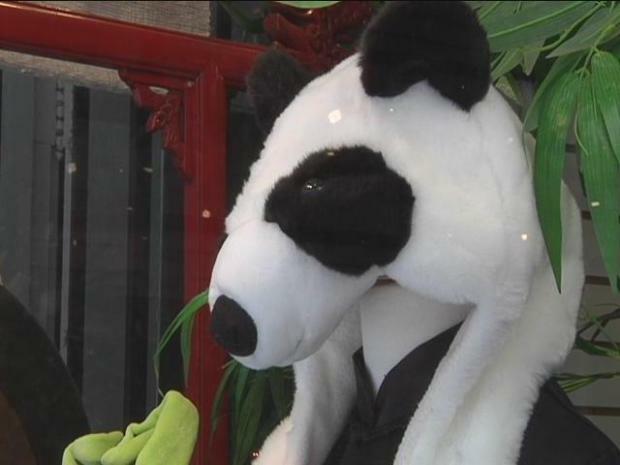 Meet Pablo Sandoval's biggest fan, the Panda Chick of China Basin, and learn the true origins of the panda hat. The Sandoval deal came on the same day Tim Lincecum reportedly asked for $21.5 million in salary arbitration. The Giants offer was a record $17 million, but still not enough. "I'm overall optimistic that we'll find common ground without a hearing room,'' Bobby Evans, Giants vice president of baseball operations told AP.